Perfect for those moments when you crave a steamed Blue Crab! 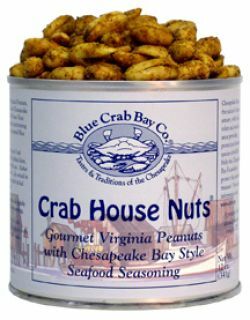 Extra large gourmet Virginia peanuts cooked in peanut oil and seasoned with Blue Crab Bay Company's spicy Chesapeake Bay Seasoning. 12 oz tin. All Natural.